Gaby Haas - Accordion player: CFQC Saskatoon 1939-40, CFRN-AM Edmonton 1940-44, CKUA 1944-45. Announcer CKUA Edmonton 1945-87, including The German Show 1945-66, Continental Musicale 1946-87 and European Music Shop, some of which were carried across Canada on CBC Radio from 1946-55. Chuckwagon 1955-69, The Noon Show/Eye Opener 1956-71 and Country Music 1969-74 CFRN-TV Edmonton. Born Gabriel Haas in Frantiskovy Lazne, Czechoxlovakia on November 7, 1920. Died in Edmonton on November 22, 1987. 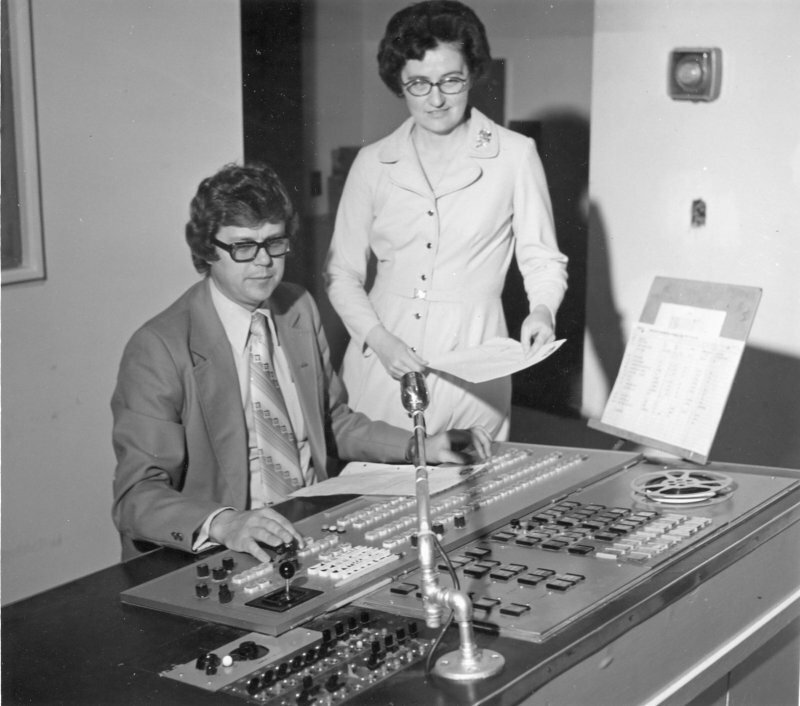 Luther Haave - Transmitter technician CBC-TV Grande Prairie; studio technician CBXT-TV Edmonton; technician CFRN-TV Edmonton 1965; technician CBXT-TV Edmonton 1966-72; first employee September 1973 then VP Operations CITV-TV Edmonton 1976; VP & GM Superchannel 1982; VP Development WIC 1995-2000; retired 2000. Don Haberstock - Avionics Technician Canadian Forces early 1980s-2001; Engineer CKUA & Alberta Emergency Public Warning System May 2001-current. Clay Hagel - CKLQ Brandon MB 1980-81; CHAT Medicine Hat AB 1981-82; CJAX-FM Edmonton 1982-83; CKRA-FM Edmonton 1983-89; CJOM-FM/CIMX-FM Windsor 1989-91. 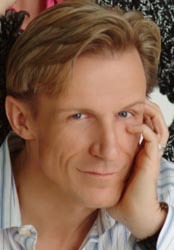 As Clay St. Thomas: morning host CKZZ-FM Vancouver 1991-97; morning co-host CJJR-FM Vancouver 1997-current; actor; with CJJR-FM morning co-host Karen Daniels BC Country Music Association Country Music Broadcaster of the Year 2001 & 2002. Clay's website. Jack Hagerman - see John Worthington. Randy Hahn - CKRW Whitehorse, Yukon; Sports CFRN-TV Edmonton 1980s. Steve Halinda - News anchor CHOW-AM Welland, Ontario 1964-65; CKPR AM & TV Thunder Bay, Ontario 1965-67; News Director & News anchor CJOB-AM Winnipeg 1967-79; News Director CBWT-TV Winnipeg 1979-85; News Director CFRN-TV Edmonton 1985-2000. President, Winnipeg Press Club 1980s; member Radio and Television News Directors Association (RTNDA) 1960s-2000s; Regional Director & National awards chairman RTNDA. Retired to Langley, B.C. 2001. Bryan Hall - Announcer/News/Sports CKUA Edmonton 1953-55; Sports CHED Edmonton 1955-62; Sports CHUM Toronto 1962-65; Sports CJCA Edmonton 1965-93; Play by Play Edmonton Eskimos football 1965-2009; Sports Director CHED Edmonton December 1, 1993-current. Born in Toronto in 1934. 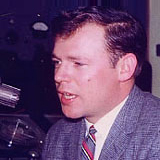 Don Hamilton - As Don Hamilton: CKSA Lloydminster AB 1962-63; CFSL Weyburn SK 1963-64; CKNL Fort St. John BC 1964; CKYL Peace River AB 1964-66; on air/music director CHED Edmonton 1966-70. 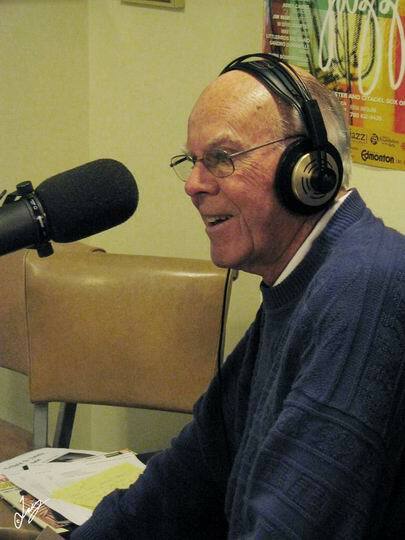 But there already was a Don Hamilton at CKLG Vancouver, so when he moved there in 1970, Edmonton's Don Hamilton became Don Stevens: on air/MD CKLG Vancouver 1970-82; on air/program director CJAY-FM Calgary 1983-84; on air/PD CFCN Calgary 1984-88; PD CKFM-FM Toronto 1988-89; PD CFTR Toronto 1989-93; morning host CHFM-FM Calgary 1993-current; CHR Air Talent of the Year 1987; CHR PD of the Year 1986/91/92. George Hamilton - Engineer US Navy VLF Communication station NW Cape, Western Australia mid-1960s; Engineer TV Edmonton; Installer Security equipment current. Jay Hamilton - As Jungle Jay: DJ CHED Edmonton; CKNG-FM Edmonton 1990s; fill CHQT Edmonton 2000s; consultant & teacher Canadian School of Modern Broadcasting Edmonton to November 2007; weekends CKRA-FM Edmonton December 2008-current. John Hancock - Sports CBX Edmonton current. Jim Hand - Morning show host CJCA 1958-62. Died of a brain tumour on May 11, 1962, at age 28. David Hankinson - Head of Photography Dept. Prince Rupert Daily News 1963; announcer/Music Director CHTK Prince Rupert 1965-69; News CHQT Edmonton 1969-72; News CKXL Calgary 1972-74; News Director CJOK Fort McMurray AB 1974-75; News CBC Winnipeg 1975-76; News Director CHQR Calgary 1976-77; News Director CFRY Portage la Prairie MB 1977-78; Assistant News Director CJOR Vancouver 1978-1980; Broadcast News/Canadian Press Vancouver/Victoria (Legislative Press Gallery Victoria 1981-82) 1980-86; News Director CIOF/CKXY Vancouver 1986-87; Assistant News Director CJOR 1987-88; News Director CKRD Red Deer AB 1988-89; retired from radio 1989; David Hankinson Photography, Computer Consulting, Holland America (Seasonal-Tourism) Whitehorse YT 2009. Died December 2, 2009, at age 64. John Hanlon - Announcer CBX-AM Edmonton; Announcer CBXT-TV Edmonton. 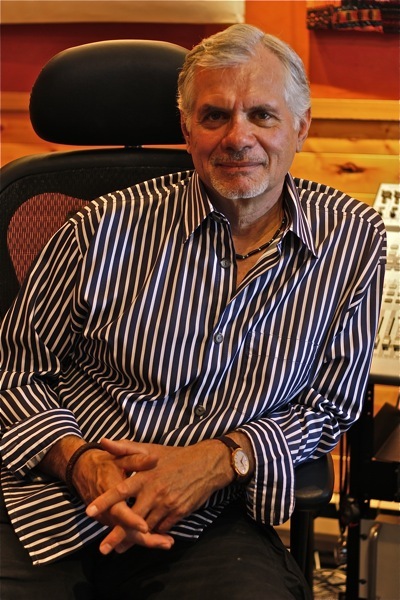 Steve Hanon - Graduate, NAIT Radio and TV Arts, Edmonton 1971; part-time Announcer/Producer CKUA Edmonton 1972-74; News/Public Affairs Producer CKRA-FM Edmonton 1980-82; News CFAC-AM Calgary 1982-88; News CKRY-FM Calgary 1989-92. Writer & Filmmaker current. Chad Hansen - CFBR-FM Edmonton current. Mary Hansen - Proofreader advertising agency Toronto; proofreader, reporter, columnist Galt Reporter; continuity writer, host Women's World, sales CKYL Peace River 1955-56; writer CFRN-AM Edmonton 1956. Retired 1956. Drew Harris - Volunteer CKEG Nanaimo, B.C. 1987; News CHQB Powell River 1987; Reporter/News CJXX Grande Prairie June 1987-Feb. 1988; Reporter/News CFRN-AM & CKXM-FM Edmonton 1988; News & Sports Reporter/News CHED Edmonton 1988-89; News CKO-FM Edmonton 1989; Reporter/News CKSA AM & TV Lloydminster 1989-90; Morning News CHSN-FM Saskatoon 1990-91; communications consulting 1993-98; sales print advertising 1998-2004; Vancouver Island Real Estate Board Nanaimo 2006-current. Born in Victoria, B.C. Pat Harris - DJ CHED Edmonton 1963. Royal Harris - CBC Edmonton. Barrie Harrison - CILW Wainwright 1987; CKSQ Stettler 1988-89; News CJCA Edmonton 1989-December 1, 1993; News CIRK-FM Edmonton 1989-96; News CHED Edmonton 1996-97; Public Relations, Government of Alberta Edmonton 1997-current. Erin Harrison - Graduate Broadcasting NAIT Edmonton. Noon News anchor/reporter CKX-TV Brandon, Manitoba; Weekend News anchor/reporter CFRE-TV Regina, Saskatchewan; Evening News anchor CHCA-TV Red Deer; Weekend News anchor CITV-TV Edmonton 2008-current. Born in Edmonton. Woody Harrison - CFBR-FM Edmonton 2003. Kim Harrold - Morning Talk host CJOK Fort McMurray 1975-76; On-air/Production/Camera Operator/Audio Operator/Graphics Operator/Stagehand CFRN-TV Edmonton 1977-90. Melanie Harysh - Promotions Director CFRN-AM & CFBR-FM Edmonton current. Jim Haskins - Graduate, Radio-Television Broadcasting, Algonquin College, Ottawa. VP & GM CKEM-TV Edmonton 1997-2005; VP TV Alberta CHUM 2002-05; GM Rexall Edmonton Indy current. Tracy Hauff - CFBR-FM current. Marvin Haugen - accountant CFCW Camrose 1963; accountant John Yerxa Research current. Barry Haugen - DJ CFCW Camrose 1960s; A&R RCA/BMG Records. Barry Hawkins - DJ/Farm Director CKYL Peace River 1962-64; DJ Mornings CFGP Grande Prairie 1964-68; DJ CJCA Edmonton 1968-70; as "The Professor" Announcer mid-days CJCA Edmonton 1972-81; Producer/Host CITV-TV Edmonton 1982-91; Municipal Councillor Parkland County 1992-2001; Member Westview Regional Health Authority 1995; Member School Board Parkland County 1995. Won Cadogan Award for Outstanding Weekly Newspaper Columnist in Canada 1990. Retired to Annapolis Valley, Nova Scotia 2003. Matt Hawkins - CFPA Port Arthur (Thunder Bay) 1958-59; CHAT Medicine Hat 1959-62; News CHED Edmonton 1962; News CHQT Edmonton; News & Municipal Affairs/Court Reporter CFRN AM & TV Edmonton 1967-74; Public Relations Calgary Power/Transalta Utilities 1974. Retired. Member, Oceanside Media Club. 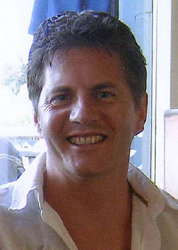 Ross Hawse - Sales Manager CIRK-FM/CKRA-FM Edmonton/CKJR Wetaskiwin/CFCW AM & FM Camrose current. 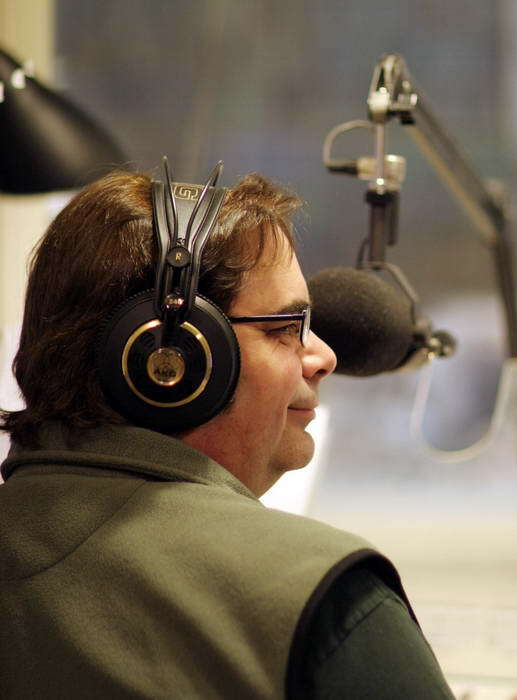 Cam Hayden - Started and ran high school radio station Calgary; announcer CJSW University of Calgary; Graduate Television, Stage and Radio Arts SAIT Calgary 1978; announcer/producer CKUA 1978-current. CKUA bio. Chris Hayden - Regional Director of Operations & helicopter traffic afternoon drive Canadian Traffic Network (CISN-FM/CKNG-FM/CITV-TV) Edmonton March 2006-current. John Hayes - CBXT-TV Edmonton. Rose Heilman - Receptionist CITV-TV Edmonton late 1980s-current. Mandi Hemmerling - Writer CISN-FM Edmonton 2001; Creative Director CHQT Edmonton current. Warren Henderson - CKRC Winnipeg 1978; Assistant News Director CHED, CHQT, CKNG-FM & CISN-FM Edmonton early 2000s-February 28, 2006. Born in Dauphin Manitoba; died February 28, 2006, in Edmonton, at age 50. Jami Hendrix - see Karen Kay. Roy Hennessy - BCIT Broadcast Program trainee; CKOK Penticton early 1960s; CHQM Vancouver early 1960s; Real Roy Hennessy evenings then morning drive CKLG Vancouver 1964-79; signed off CKLG-FM and signed on CFOX-FM Vancouver 1979; Edmonton; GM CKXL Calgary 1986-87; Winnipeg; President Hennessy & Bray Communications Toronto current. 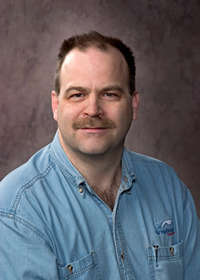 Clay Hennig - CKYL Peace River 1980; CIBQ Brooks; CJAX-FM Edmonton; Sales CFCW-AM Camrose/Edmonton 1989-93; Sales 1993-96, Sales Manager 1996-2003 CFMG-FM Edmonton 1993-2003; Sales CFCW AM & FM 2003-current. Phil Henry - Announcer CBX '70s and '80s. Carole Henson - Producer SCTV Network 90 Edmonton 1981; Producer Ray Charles In Concert With The Edmonton Symphony Edmonton 2004. Jim Herbison - Sports CHED Edmonton 1986; Sports CKNG-FM Edmonton 1986. Steve Herringer - DJ Overnight then middays CKFH Toronto 1973-74; DJ Afternoon Drive CKY-AM Winnipeg 1974-75; DJ late evenings CFGO Ottawa 1975; DJ late evenings then middays CHUM-FM Toronto 1975-77; DJ Afternoon Drive CFRN-AM Edmonton 1978-81; DJ Swing CFUN Vancouver 1981-85; DJ Afternoon Drive CFMI-FM Vancouver 1985-86; Founder Profile Communications (voiceover services in Canada, U.S., Europe and Asia) White Rock, B.C. 1985-current. Lawrence Herzog - CFCW Camrose; News CFRN Edmonton 1982-97; writer Real Estate News Edmonton current. 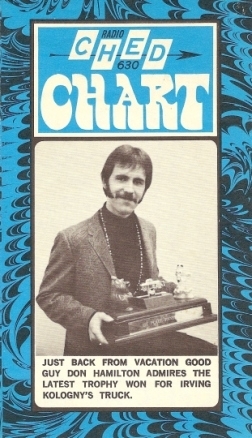 Pete Hicks - Announcer CFGP Grande Prairie 1956; CKYL Peace River 1958-59; CKSA Lloydminster 1959-61; CFQC Saskatoon 1961; morning drive KGA Spokane 1969-80; middays CFCW-AM Camrose/Edmonton February 1980-current. Born in Grande Prairie. Ron Hiebert - Financial Analyst CFCW-AM Camrose/Edmonton current. Barb Higgins - Graduate, Radio and Television Arts NAIT Edmonton. News Anchor CBXT-TV Edmonton; News Anchor CFRN-TV Edmonton; News Anchor CFCN-TV Calgary 1989-current. Born in Edmonton. Kevin Hilgers - CKX Brandon, Manitoba; DJ Morning Drive CJVR Melfort, Saskatchewan; Evenings CJWW Saskatoon, Saskatchewan; CKX Brandon, Manitoba; Morning Drive CKST St. Albert 1988; Morning Drive CHMG St. Albert 1988; Morning Drive CFGP Grande Prairie; Morning Drive CJWW Saskatoon, Saskatchewan; owner advertising consulting business Grande Prairie current. Dave Hill - CFTP/CFRN Edmonton 1934-41; program director CKMO Vancouver 1941-42; annnouncer/program director then sales CJOR Vancouver 1942-49; announcer CKDA Victoria. Born in London, England. Don Hill - Announcer CBX Edmonton mid-1980s; CKUA current. Arthur Hiller - Announcer/operator CKUA Edmonton late 1940s; director public affairs program CBC radio; director radio drama; director live television drama; Hollywood film director, including Love Story and The Americanization of Emily; President Directors Guild of America; Chairman Academy of Motion Picture Arts and Sciences. Born in Edmonton. Gail Ann Hinchliffe - Vice-chair 1990 then chair of board of ACCESS Alberta 1991-95; chair of board of Access Charitable Foundation of Alberta 1994. Richard Hiron - Advertising and commercial sales CJAL-TV Edmonton current. Rob Hislop - Graduate NAIT Radio & Television Arts program; Saskatchewan TV 1987-92; co-host & anchor Breakfast Television CKEM-TV Edmonton current. Born in Montreal. Jim Hockley - Life Guard; Assistant Director of promotions and public relations & host children's program CFRN-AM Edmonton 1970-74; part-time reporter CBX-AM Edmonton early 1970s; CHQT Edmonton 1974; Life Guard; Actor SCTV, commercials, movies; photography instructor; Life Guard; sports photography & co-owner bed & breakfast Courtenay 2003-current. Member, Oceanside Media Club. Bev Hodson - Copywriter CKUA current. Fred Hodson - CFRN-TV Edmonton. Retired. Stan Hodson - Camera SCTV Edmonton 1976-81. Eunice Hoffman - Reporter Edmonton Bulletin; CFRN Edmonton; CJCJ Calgary; CFRB Toronto; CKNW New Westminster 1952. Married Mark Raines June 14, 1952. Michael Hogan - DJ weekends CHQT Edmonton 2004. Born in Australia. Bill Hogle - Editor The News Medicine Hat, Alberta; Director of News & Public Affairs CFRN AM & TV Edmonton 1956-65. Died in February 1965 in Edmonton. Bruce Hogle - Announcer CHNO Sudbury 1947; sports editor The News Medicine Hat, Alberta; reporter Trail Times 1956-61; News Director CKRM Regina 1961-63; PR Saskatchewan College of Physicians & Surgeons 1963-65; co-founder CFMC-FM Saskatoon December 1965; Manager of News, Sports & Public Affairs CFRN AM/FM/TV Edmonton 1965-89; GM CFRN-AM & CJKE-FM 1989-91; GM CFRN-TV 1991-96; President Bruce Hogle Communications 1996-current. 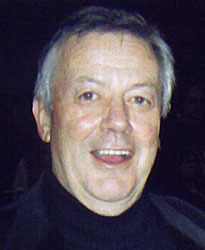 Founding member & President (1974-75), Radio & Television News Director's Association of Canada (RTNDA); member, Order of Canada 1998; member, Canadian Association of Broadcaster's Hall of Fame 2007; Born in Toronto in 1929. 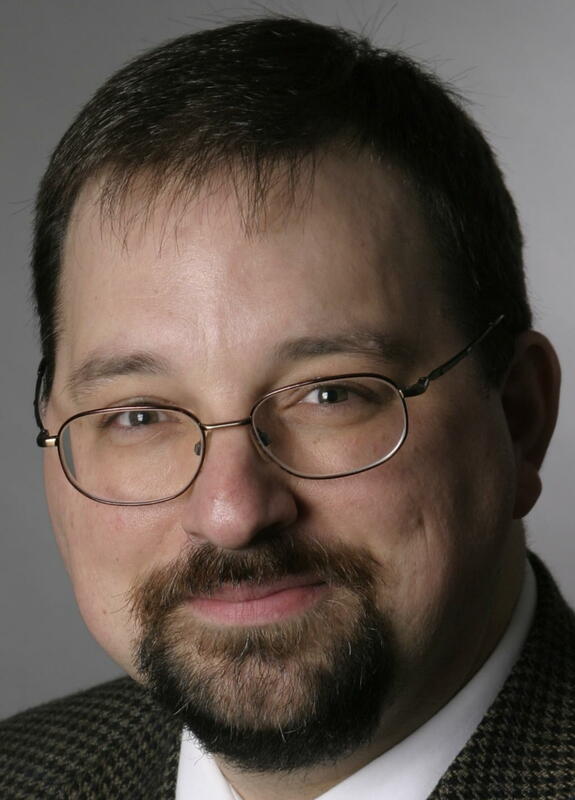 Steve Hogle - Writer, reporter & photographer Camrose Canadian Newspaper; News CKRD-TV Red Deer; all nights CFRN-AM 1982; reporter then weekend sports anchor, assignment editor, sports director, senior executive producer evening News 1990s-2003, Director of News & Public Affairs 2003-07 CFRN-TV Edmonton early 1980s-September 7, 2007; Vice President of Communications & Public Affairs Alberta Research Council Edmonton September 10, 2007-current. Born in Trail, B.C. Frank Hollingworth - Chief Engineer CJCA Edmonton 1950s. Peggy Holmes - Writer/host "The Way It Was" CBX Edmonton 1975-1991; co-host, with Chris Allen, "Something for Seniors" CKUA 1982; author books "It Could Have Been Worse" (1980), "Never a Dull Moment" (1984) & "Still Soaring" (1987). Recognized as Canada's oldest broadcaster; awarded Provincial Achievement Award of Excellence for art, literature and broadcasting; City of Edmonton named a park after her at 15803-109 St. (1984); named to Order of Canada (1989); honourary diploma Grant MacEwan College Edmonton (1991); honourary degree University of Alberta Edmonton (1991). Born on November 11, 1897, in Hull, England; died in Edmonton on October 20, 1997, just before her 100th birthday. Alex Holownia - Producer/Director CFRN-TV Edmonton February 14, 1963-early 1990s. Jim Holte - radio Saskatoon; Freedom Ford; sales CHED Edmonton; market research Edmonton Examiner; to Vancouver 1993. Warren Holte - Sales CFRN-AM Edmonton 1956-58; Sales then Sales Manager, General Manager, President CFCW 1958-96, CKRA-FM Edmonton, CHRK Kamloops, CJLB Thunder Bay. Retired 1996. Doug Homersham - Drama Producer CJCA Edmonton 1950s. Sheila Hone - Sales CFMG-FM Edmonton current. Alan Hood - Drama Producer & announcer CKUA Edmonton 1950s. Daryl Hooke - Director of Client Services CHED & CHQT Edmonton current. Danny Hooper - co-host morning drive CFCW-AM Camrose/Edmonton June 2006-August 2013. Country artist 1975-current. Kimberley Hopkins - News CHED/CHQT Edmonton current. 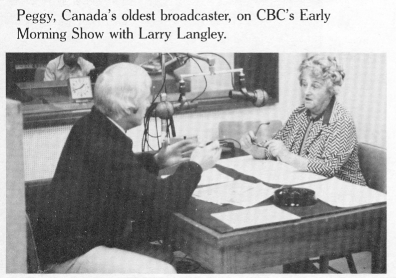 Mary Horley - Switchboard, writer, board operator CHQT Edmonton 1965-67; CBK Regina 1967-68; private radio Edmonton 1968-71; continuity writer, jingle singer CFRN Edmonton 1971-73; as Kelsy George: novelist current. Daughter of Ralph Horley & wife of George Kelso. Member, Oceanside Media Club. Ralph Horley - Announcer CHAB Moose Jaw; announcer CBC Radio; General Manager CBW Winnipeg. Deceased. 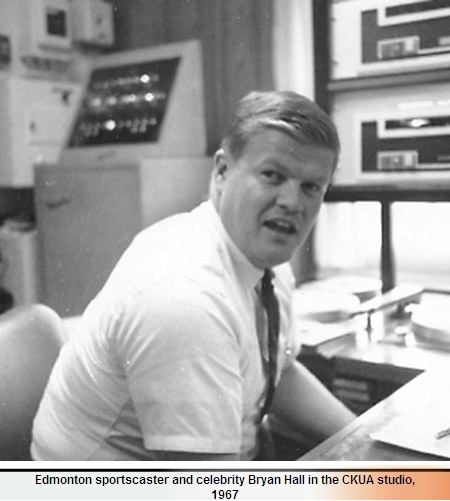 Bill Horton - Engineer CFRN-TV Edmonton 1960s. Born May 2, 1918, and died in Edmonton on May 20, 2013. 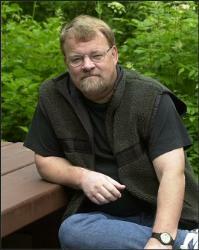 Jack Howell - Host "Call of the Land" CKUA 1970-2006. Retired. Hurricane Huber - CFBR-FM Edmonton 2003; co-host morning drive CKBL-FM Saskatoon current. Gail Hulnick - Masters degree in Journalism University of Western Ontario and M.B.A. University of Alberta; legislative reporter CFRN-TV Edmonton 1977-79; co-host morning drive CBX Edmonton 1980-81; morning show, midday host, news anchor CBU Vancouver 1981-97; writer/editor 1997-current; board member serving on Resource Development Committee North Vancouver District Public Library 2005-current. Pat Hume - DJ then News reporter CKKR Rosetown, Saskatchewan 1971-72; News reporter then News Directer CKRM Regina, Saskatchewan 1972-76; News reporter CHQT Edmonton Alberta 1976-77; News reporter CBX Edmonton, Alberta 1977-80; Senior News Editor CFYK Yellowknife, NWT 1980-84; Senior News Editor CBK Regina, Saskatchewan 1984-87; Lineup Editor CBKT-TV Regina, Saskatchewan 1987-2000; Producer/reporter/News anchor CBK Regina, Saskatchewan 2000-08. Retired to Creelman, Saskatchewan in 2008. 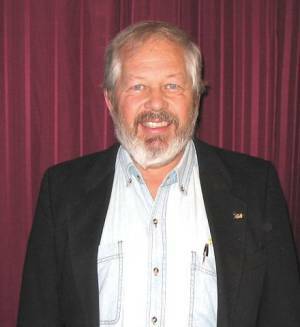 Bob Hunter - Chief Engineer CFRN-AM/CFMG-FM/CFBR-FM Edmonton current. Brienne Hurlburt - News reporter CKRD-TV Red Deer 2000; News anchor CISA-TV Lethbridge; CFSK-TV Saskatoon; anchor & reporter CITV-TV Edmonton; evening News anchor CICT-TV Calgary 2005-current. Born in Fort McLeod. Frank Hutton - Banking; News CJCA Edmonton 1952-56; Manager Service Station; Police Reporter Edmonton Journal late 1950s; Promotions Director City of Edmonton Economic Development; Columnist Edmonton Journal 1970s-summer 1990. Retired in Edmonton. Born July 23, 1930, in St. Lambert, Quebec and died of leukemia in Edmonton on December 8, 1991. Kelly Huxtable - Announcer CIRK-FM Edmonton 1980s. Dallas Huybregts - Promotions CFCW Camrose/Edmonton current.